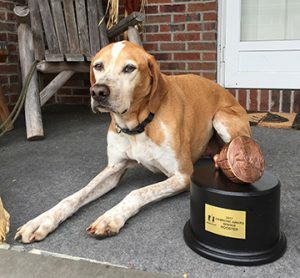 The winner of last year’s annual Hambone Award, which honors the most unusual pet insurance claim of the year, was Rooster, a hound mix from Scranton, Pa.
After reviewing nearly 1.5 million pet insurance claims received over the past year, Nationwide has nominated 12 candidates for the 2018 Hambone Award. 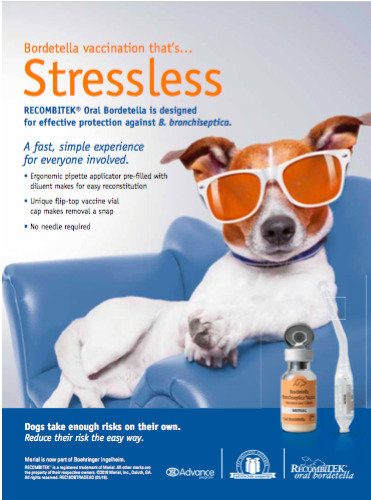 Each year, the pet health insurer scours its database of 700,000-plus insured pets to honor the most unusual pet insurance claim of the year. The winner will be decided by a public vote, open now through Oct. 8, at HamboneAward.com. From a pair of German shepherds who were found after 21 days trapped in an abandoned missile silo to a cat who went through a dryer’s fluff cycle, all 12 nominees have uniquely harrowing tales. All nominated pets have made full recoveries and received Nationwide insurance reimbursements for eligible veterinary expenses. Originally named after a dog who ate an entire Thanksgiving ham while stuck in a refrigerator, the annual Hambone Award has since been given to the most bizarre medical claim each year since 2009. For a more detailed account of each story, photos of the nominees, or to vote, visit HamboneAward.com.